Every change made to your diagram is saved instantly and automatically, so there’s no need to save anything when using Coggle! You’ll find all the documents you’ve created listed on your homepage when you log in. To see the automatic saving in action open up another browser window onto the same document. You’ll see the changes appear as they’re saved! Want to print your Coggle? 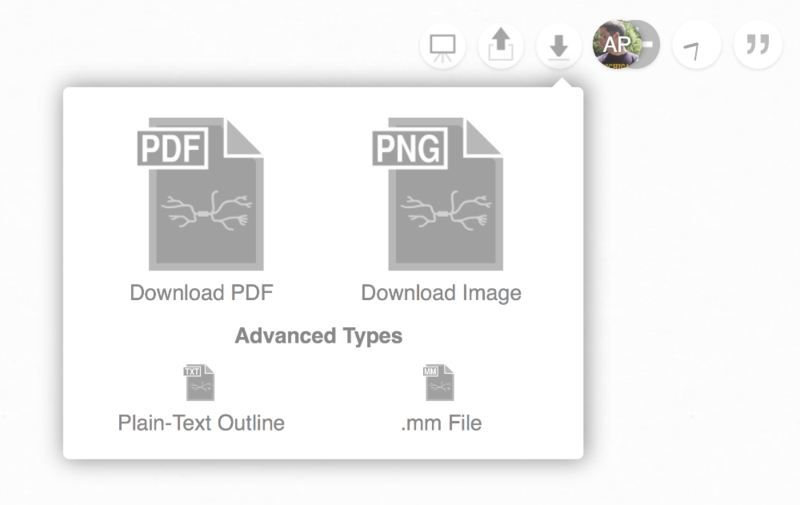 You can export your diagram as an image, PDF, text or .mm file for use outside of Coggle, click the download icon to get started. Tip: a great way to print Coggle's as a post or large print is to download as a PDF and then use the poster printing mode available in most PDF viewers!